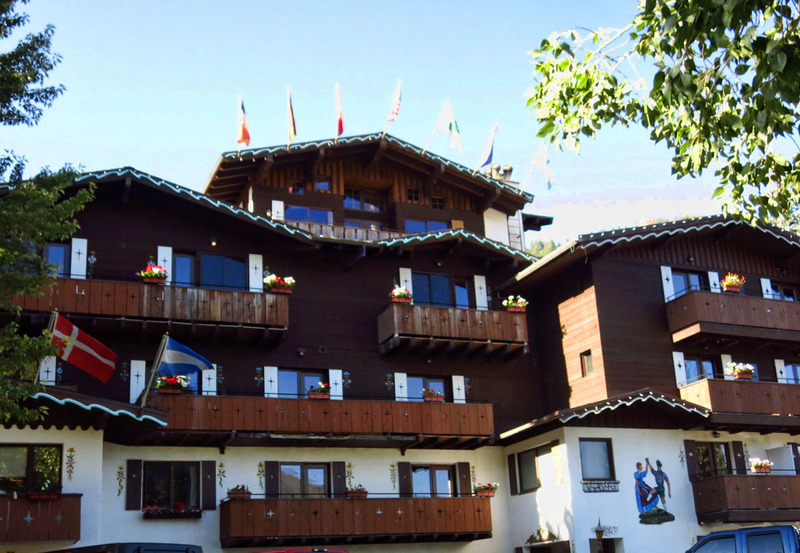 We are staying at the Mountain Chalet, a very apropos name for this charming hotel built in 1954. 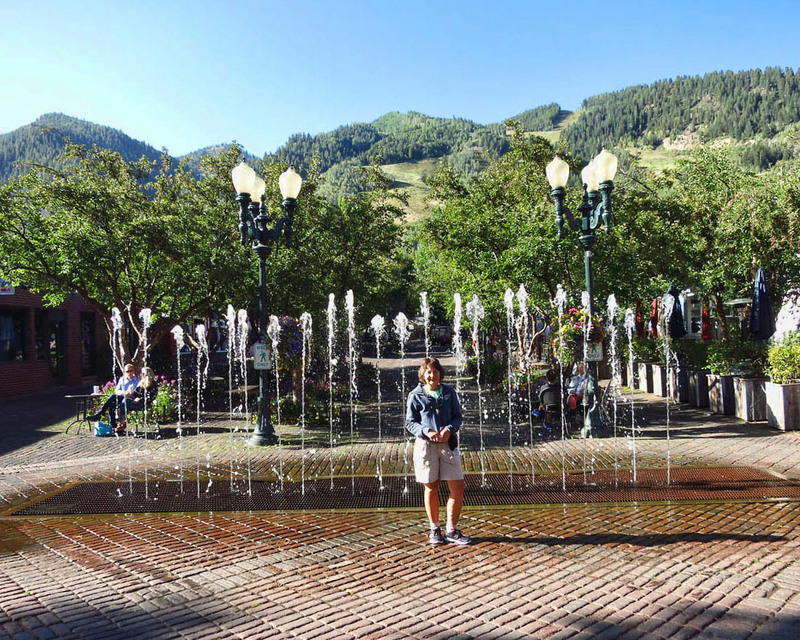 Bobbie stayed here when she did this hike before, and I would highly recommend it if ever in Aspen. 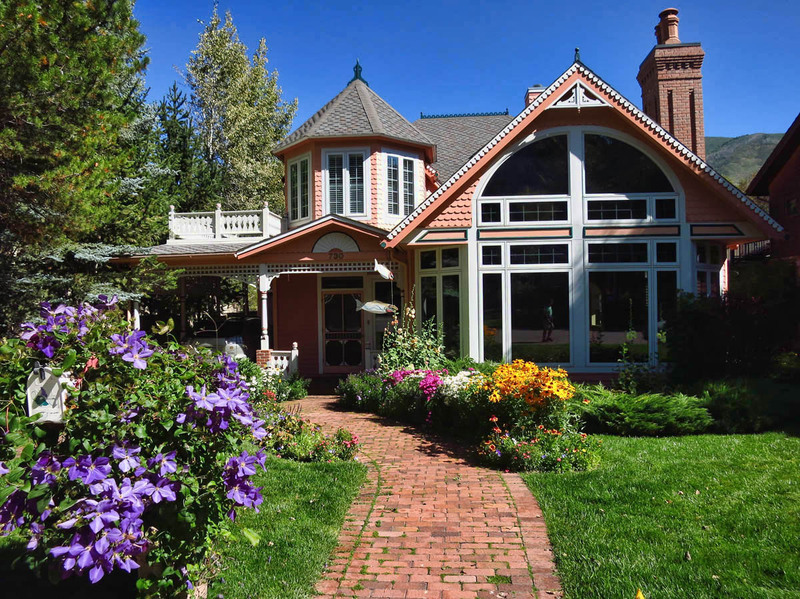 It is convenient, economical (relatively speaking by Aspen standards) has a lot of nice amenities like free full breakfast, a giant hot tub, heated pool, and a lot of “old world charm” reminiscent of a European mountain chalet. First stop! They have Left Hand Milk Stout on draft. Good reconnaissance work, Mark! Mountain Chalet, conveniently located at the base of the slopes. 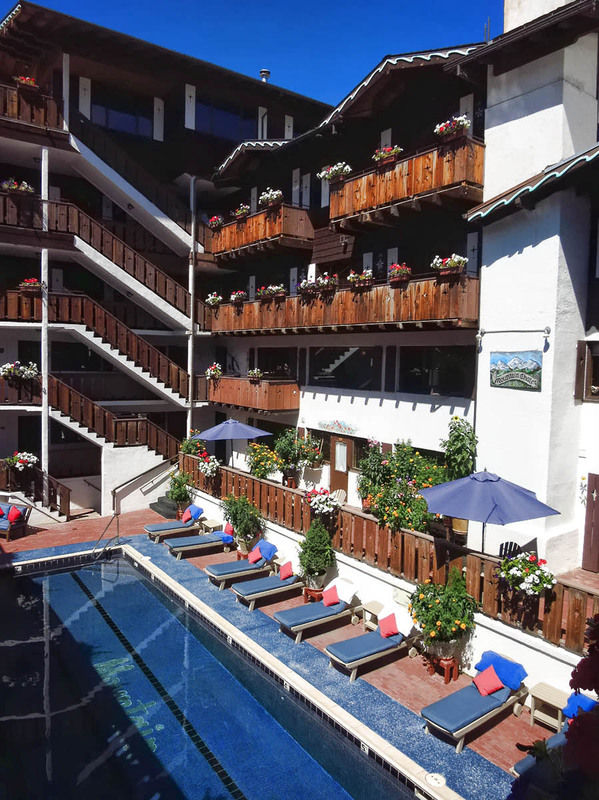 The courtyard of Mountain Chalet Hotel. Heated pool, and nice hot tub! 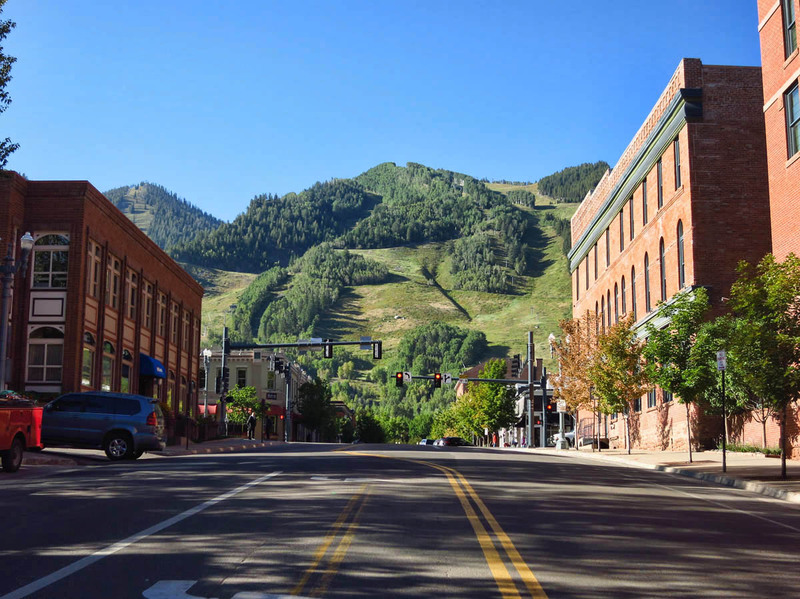 Having never been to Aspen before, and knowing I am not likely to pass this way again any time soon, I want to spend some time looking around the town. But I know after an 11 mile hike, I won’t remember anything I see on arrival except the view from the shower, the dinner table, and the bed. And if we hike back the next morning, that will mean another 5:00am wake-up call. 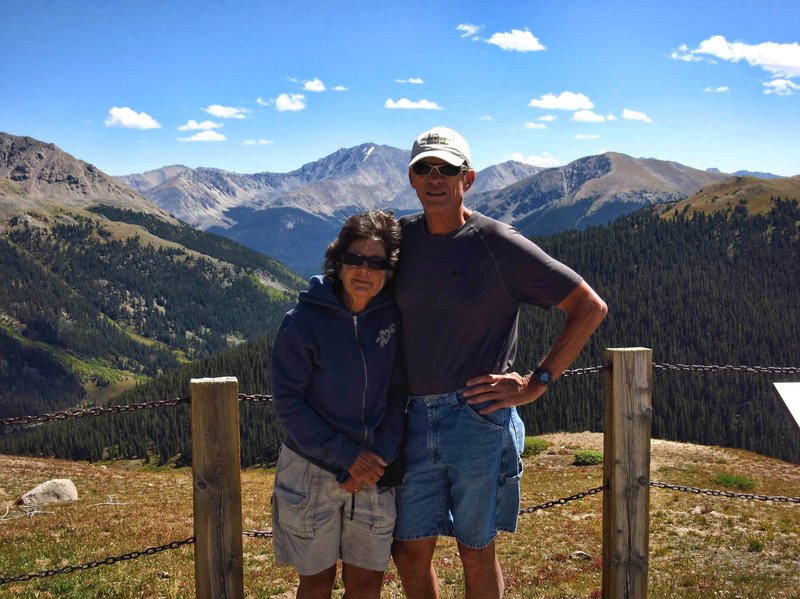 So with the promise of “free beer,” I manage to coerce Mark and Bobbie to stay in Aspen two nights so we can have a day in between to have a look around. No need to hunt for the ski slope in this town…just look up. 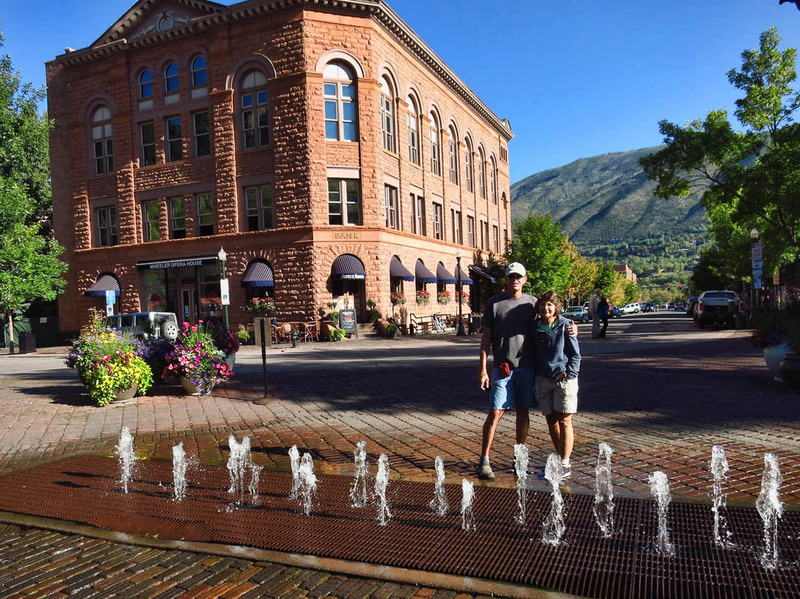 We spend most of the morning on our extra day walking around town admiring the architecture, strolling down the nice broad bike path that divides the river from the massive lawns of the “haves.” I am impressed by the amount of green space in Aspen. 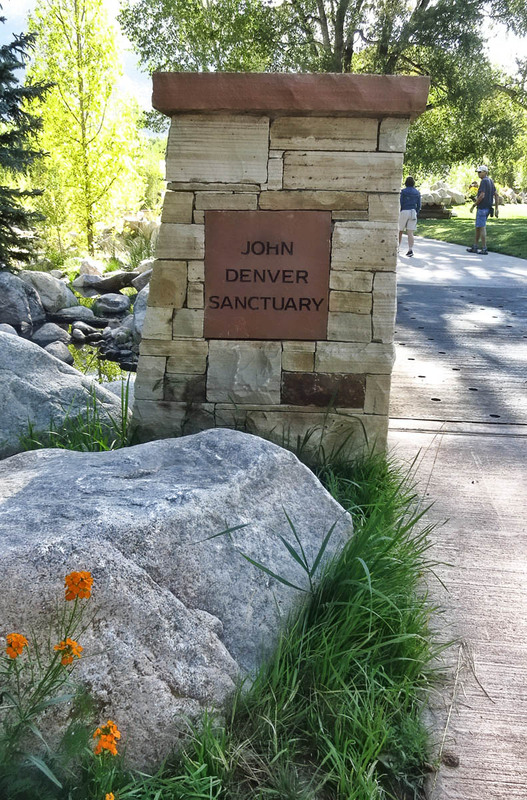 Parks are plentiful, including the John Denver Sanctuary in the center of town. I have always been a fan of John Denver’s poetry and prose. In fact, his Greatest Hits is at the top of the most frequent playlist in the Winnie. 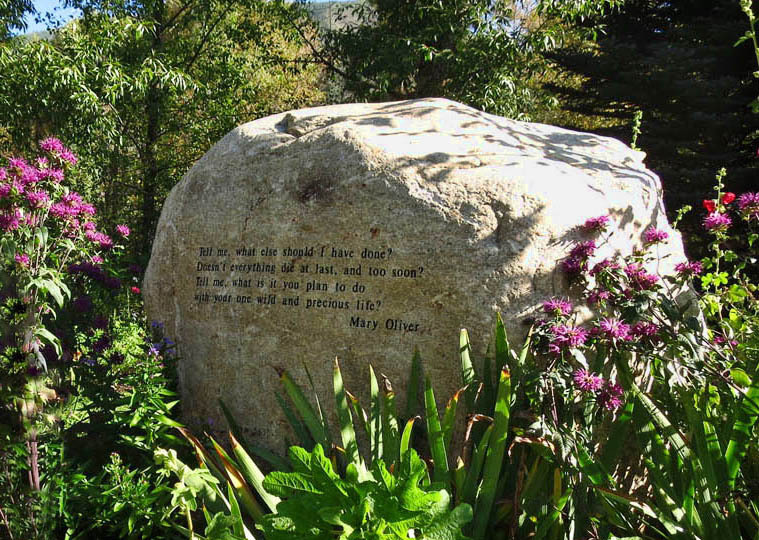 So I am eager to visit this memorial site. In doing my research, however, I find it interesting that some of his lyrics have been “cleansed.” References to “friends around the campfire, and everybody’s high” and “pass the pipe around” have been modified or removed altogether. Ironic, considering Colorado was one of the first two states in our nation to legalize marijuana. I am also impressed by the amount of flowers everywhere. Never in my life have I seen so many pots, window boxes, hanging baskets, raised beds, and there are no “dead heads” to be found on them anywhere. “Grounds keepers” are hard at work everywhere. 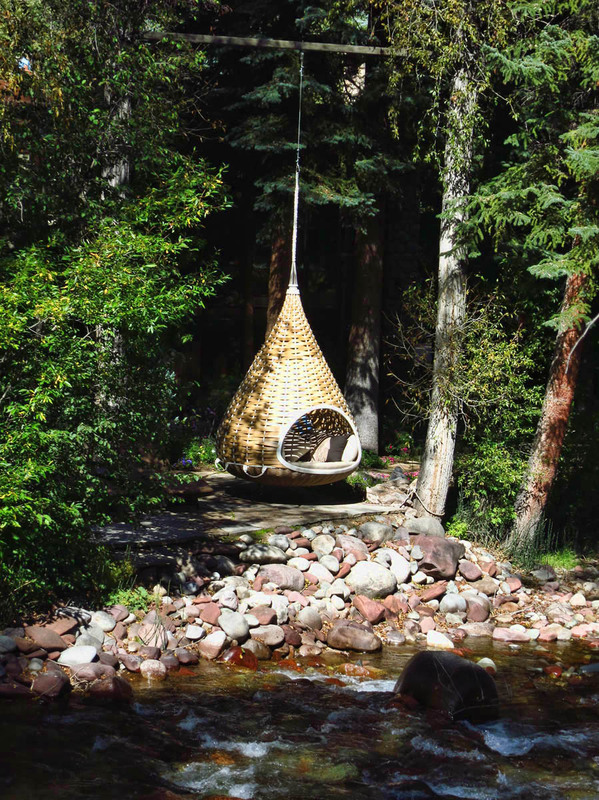 Check out this swinging pod pad! I could fit the Tracker in there! Independence Pass with La Plata Mountain in the background. Hey, a bear’s gotta pose for the paparazzi too! I like Aspen more than I expected. But in fact, I didn’t expect to like it at all. I left my “fashionista phase” behind when I left Manhattan. When one lives full time in an RV at the mercy of public laundromats, clothing becomes dispensable and disposable. I do my best shopping at the thrift stores, Walmart, or Target these days. So designer shops with absurd price tags only irritate me in their excess. 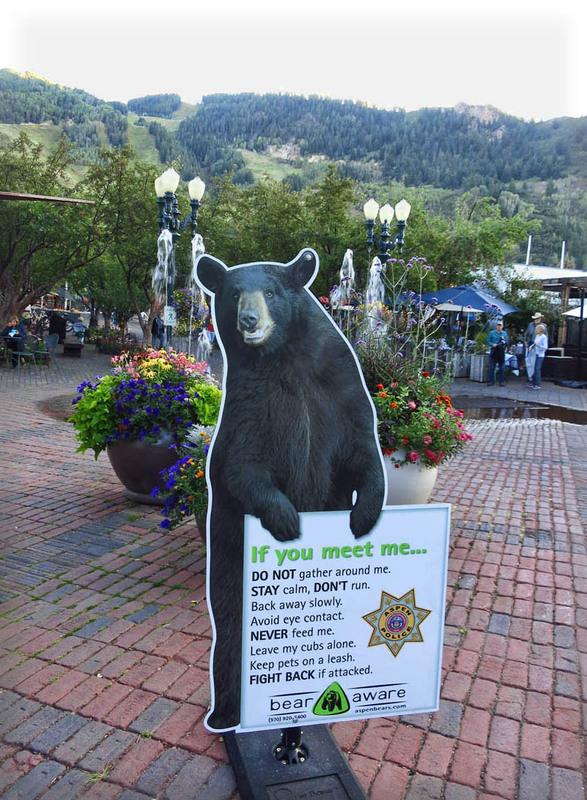 But it is off season in Aspen. There are no fur-draped, diamond studded, boot scooting rich Texans or paparazzi-dodging celebs hiding behind their shades at this time of year. The balance seems tipped toward the hiking-boot sporting locals. I am grateful for the less-annoying off season. 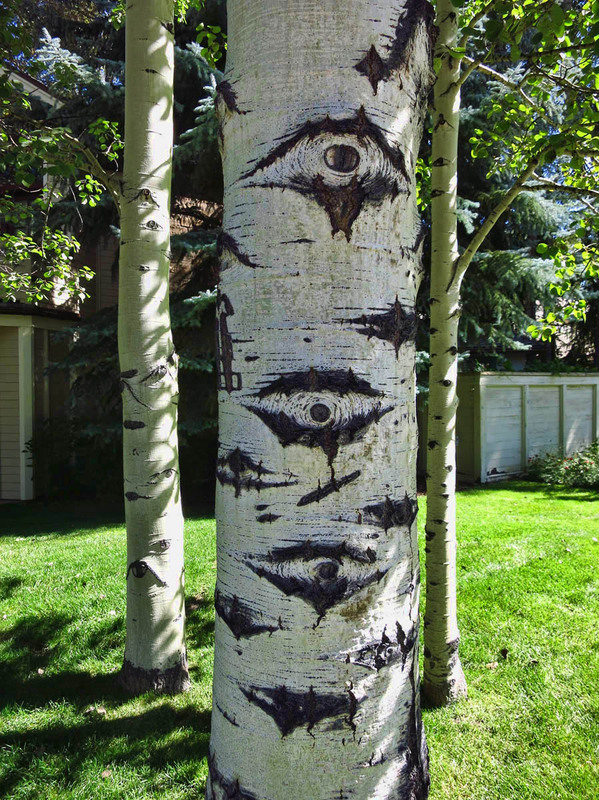 Who needs paparazzi when you have the “eyes” of aspens? 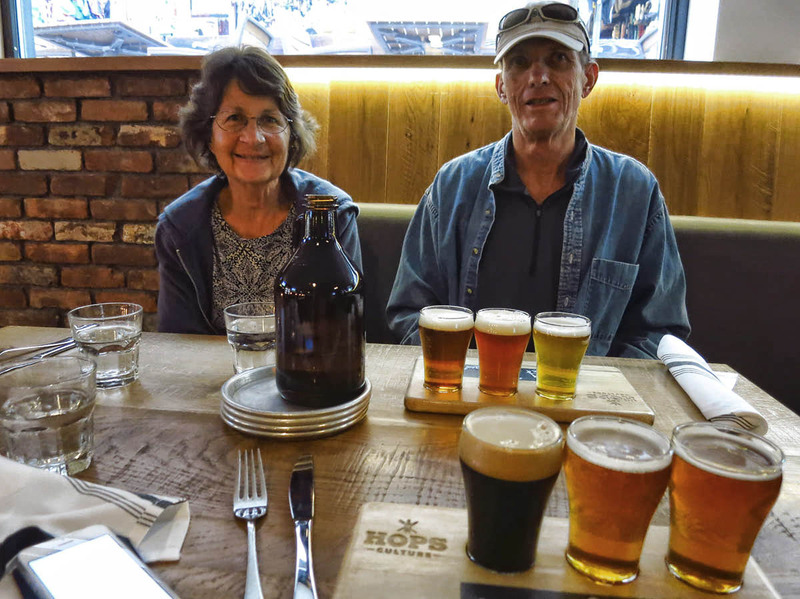 There is lots of discussion over beer flights about whether we will hike back or ride back in the good company and smooth, climate-controlled comfort of the Suburu. The elevation gain profile of the hike looks like a number 7 fallen on its face, and we will be climbing the longer side. So although the hike back is less steep, it is still seven miles worth of constant climbing. Once we get to Maroon Pass, it will be a fast downhill run, but that is a whole lot of “up” through mud and rocks to get to the pass. Bobbie says she will go either way… I contemplate this longer than you might think. Will I have regrets if I don’t hike it both ways? Am I putting my body through a grueling task, all for the sake of “morning light” in my photos? The Box Canyon Blogger working out his “irreconcilable differences” with Aspen. You won’t get to drive through this on an 11 mile hike! 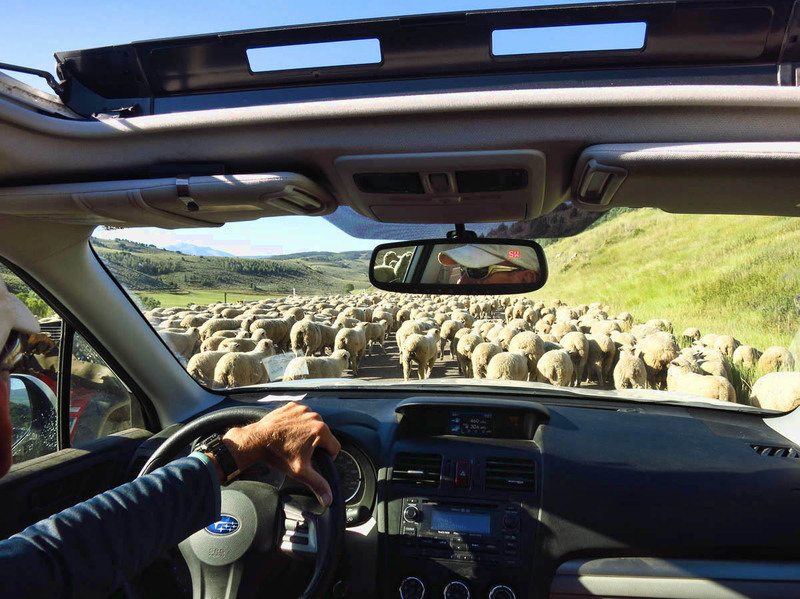 Our Sherpa, parting the sea of sheep. 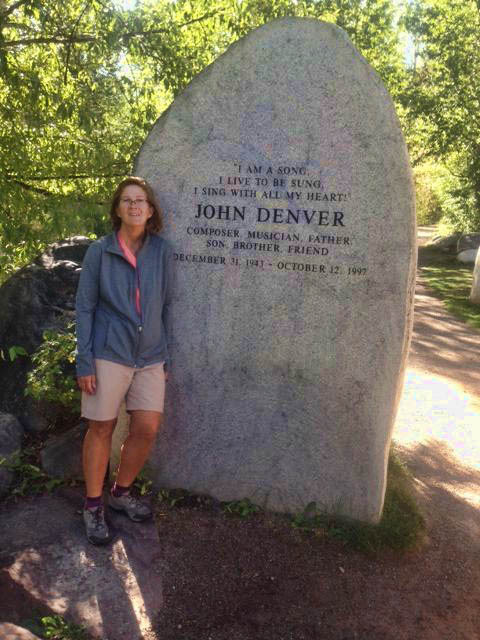 This entry was posted in Colorado and tagged Aspen, Hops Culture, John Denver Sanctuary, Maroon Bells, Mountain Chalet Aspen by Suzanne. Bookmark the permalink. Suzanne – some very nice photos. 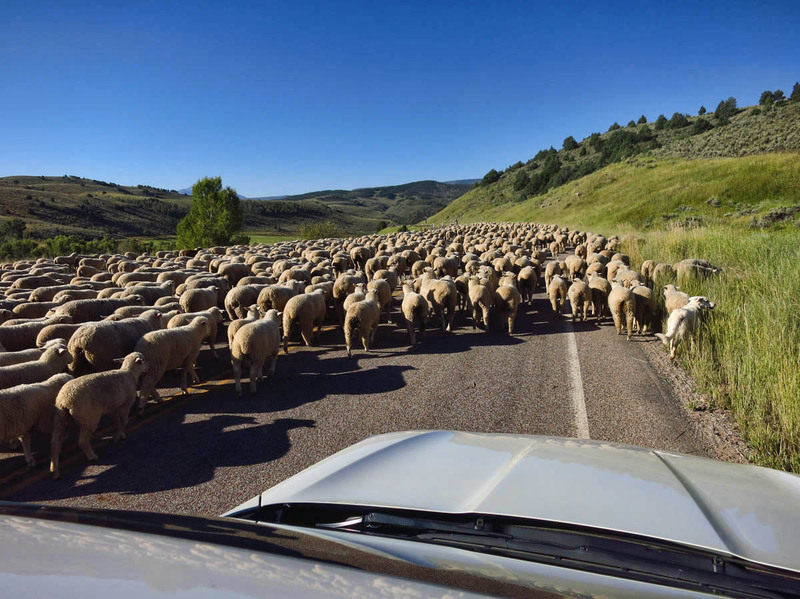 Having all those sheep in the road would have made my day. We were in Aspen years ago, but in the winter. There is so much more to see in your photos when the snow is not covering everything. Beautiful. 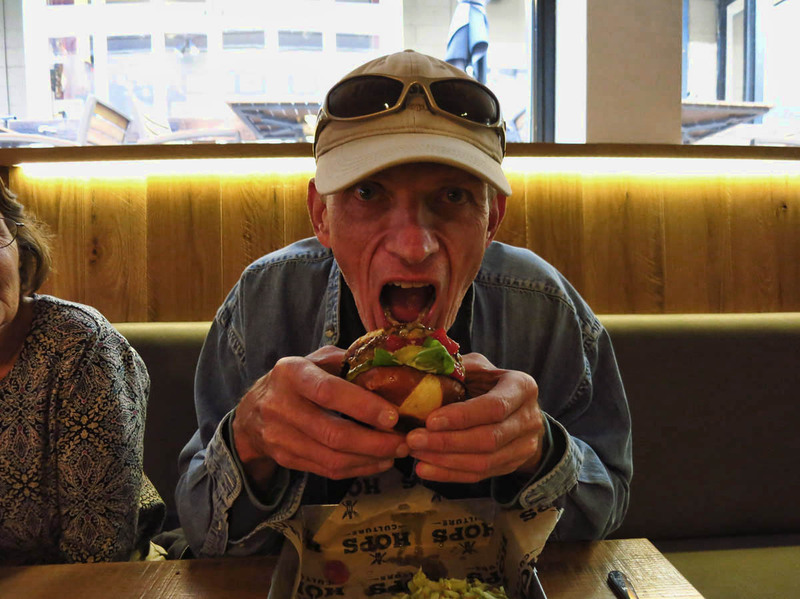 And the burgers and beer don’t look bad either. Happy travels and thank you for your blog. What an awesome adventure! The scenery is fantastic, looks like it is totally worth the effort! I so understand your struggles with whether to hike back or not. I really have trouble with feeling like I gave up even if I know that the right move is to let it go. Thank goodness John can be rational even if I don’t agree. I think you had quite an accomplishment in just hiking to Aspen. You deserve to see a different view:) Aspen looks lovely. We’ve only driven through on a motorcycle and walked a little in town. We need to return and check it out further in the shoulder season. 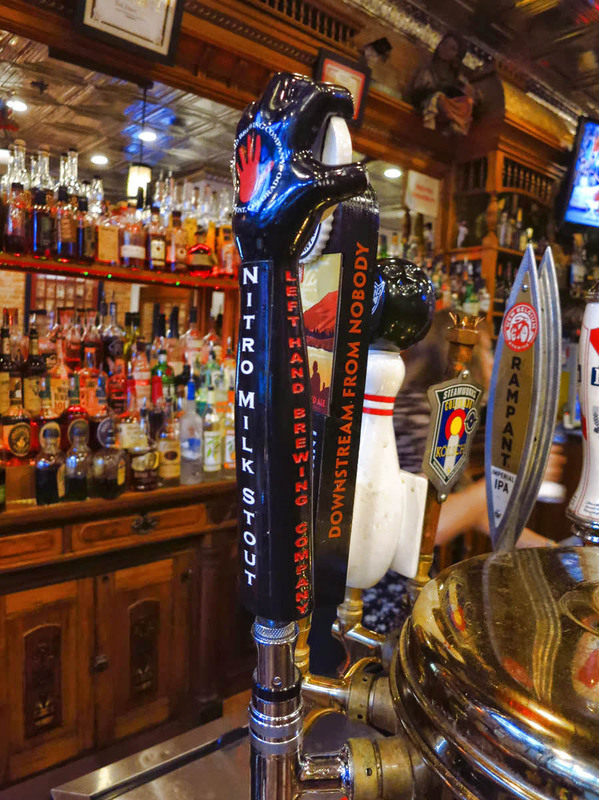 That Nitro Milk Stout sounds great! 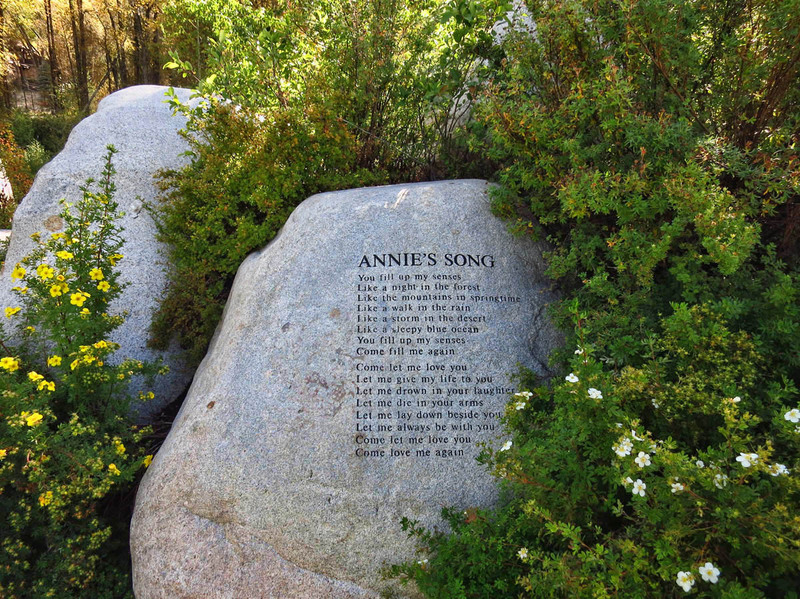 John Denver’s garden is beautiful. Nice write up. I was there in June (drove in vs hiked in) and for much the same reason as you – just wanted to see it. The flowers were hanging from everywhere. It struck me as a Rocky Mountain version of East Hampton, NY with all the boutique shops and art galleries. Very few vestiges of the mining town it once was. Sounds like an amazing experience Suzanne. I would have been torn on whether to hike or ride back as well. Looks like you couldn’t lose either way. I’ve been following your blog for awhile, and have enjoyed reading the descriptions and illustrations of your hikes through our fair state. But I must correct you on one point. I believe Trail Ridge Rd is the highest paved thru-road in the state. Happy Trails. Thanks for finding my error, Jim. I checked back on my resource, and I believe the key words were “state highway.” Highway 82 is part of the state highway system. I have corrected my error. Thanks for the comment! Hmm, a distinction I was not aware of. Makes for a good piece of Colorado trivia. Of course, I also didn’t know you could take a boat ride through the Black Cyn. Jim — Just to clarify, the boat trip was in Morrow Bay Reservoir. It is officially part of the 48 mile stretch of the Black Canyon, but not part of the National Park’s 14 mile stretch. Just wanted to be sure I was clear, since the stretch of river through the National Park section requires the most skilled of paddlers and challenging portages. Thanks.